Following on from the best Halloween slots to play this year, it’s time to for less spooky and more Santa. That’s right, with the festivities just around the corner, we’re looking at the best Christmas slots to play this December. But wait, it’s not just about turkey, tidings and tinsel. If you’re going to play Christmas slot games, you want the best in terms of bonus features, payout rates and jackpots. In this article, I’m digging deep in Santa’s sack to reveal the best casino games to play this Christmas. With a mixture of new online slots and classic festive favourites, below you’ll find a list of Christmas slots and why they’re worth playing when it’s cold outside. I hope you’ve been good! 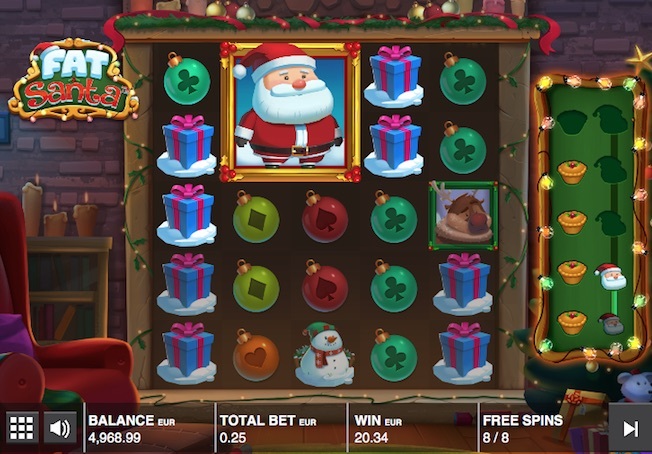 Jingle Spin is a festive Christmas casino game from Swedish developers NetEnt. The 5-reel, 3-row 20 bet line video slot offers Wild substitutions, Free Spins and 4 different feature baubles. 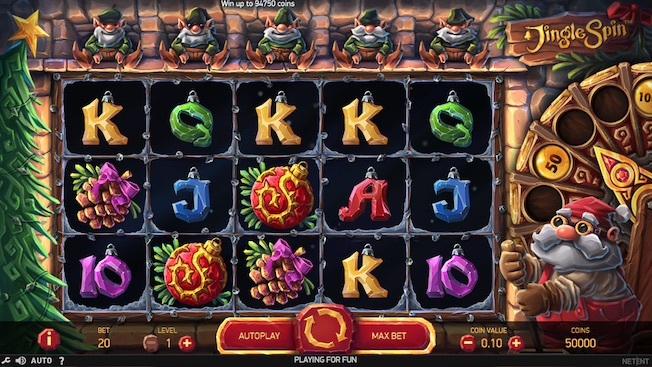 Using a similar game engine to that used in EggOMatic, the Christmas slot sees players betting inside Santa’s workshop. It’s got funny music, sharp graphics and clever animation. So why play NetEnt Jingle Spin Slot? The game rules and idea is simple, you spin and Santa (at the right of the reels spins with you). In addition to normal wins, Santa’s Bauble Bonus Wheel might pass a bauble up to the elf furthest right. Once an elf is holding a bauble, they will pass it to the elf on the left with each spin. What you need now is a Wild symbol to land in the reel below that elf, and you’ll be awarded the prize or bonus associated with that bauble. Jingle Spin is one of the best new Christmas slots because of these baubles. Some can spread prize money, offer free spins, pay coin wins or surprise with either of those three. It’s also well placed in terms of how many free spins you can win, that number is 50 and there’s more to be won during the free spins round. Add in a 1,000 coin jackpot and a max win of up to 94,750 coins and it’s suddenly worth visiting Santa’s workshop. Nice one NetEnt. Created by Just For The Win exclusively for Microgaming, Icy Gems is a new frosty Christmas slot with a decent payout punch. With a cold wintry feel and lots of snowflakes, the Icy Gems slot puts Re-Spins, Symbol Storage and Superspins under the Christmas tree from £0.10 a bet. Thanks to a clean design, easy to follow game engine and winning symbol storage, there’s lots of reasons to play out in the snow. Now what makes Icy Gems so festive is the re-spins, you get one following every win thanks to a symbol storage mechanism. On the left of the 5-reels, you’ll find a 3-level storage facility. The aim of the game is simple, fill all three levels to win that all-important Superspin, the slots main feature. To fill a level, you need a win, to fill all three, three consecutive wins (including using the re-spin if needed). The Icy Gems Slot Superspin is comprised of three different levels, silver, gold and win big. 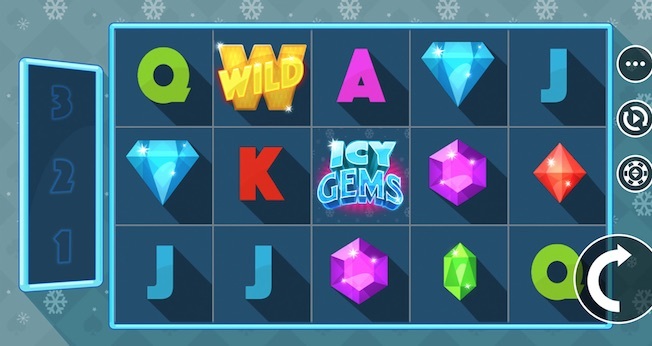 As the name suggests, that last one is what makes Icy Gems worth playing this Christmas. Out of the new slot games I’ve seen this December, Just For The Win do something exceptional with how symbols can influence the next spin to reward more and more potential wins. Why play it? because the game snows Re-spins! Fat Santa is this year’s festive slot from premium games developer Push Gaming. Specialising in high-quality mobile-optimised games, Push knows a thing or two about making unique engaging slots. Take Fat Santa, it’s 5 symbols high across 5-reels and offers players a chance to buy the main feature! Set in a winter wonderland with a swanky backbeat, Push Gaming’s Christmas casino game is a sleigh ride to potential wins from just £0.25 a bet. As the most festival feeling of this year’s new Christmas slots, Fat Santa weighs in with a plentiful 50 bet lines. We’ve already touched on the huge reel columns and we know it’s snowing. But what about the features, payout rate and jackpot? Firstly, at random might just see Santa’s Sleigh flying over the reels and bizarrely leaving behind Christmas Pies, those pies locking in place and acting as wilds. While it’s more likely to be smaller wins, the Santa’s Sleigh bonus is a nice extra to keep the base game festive. Next, it’s the free spins bonus and it’s all about trying to get Santa fat, hence the name of the slot, Fat Santa! Ok, I’m being silly. 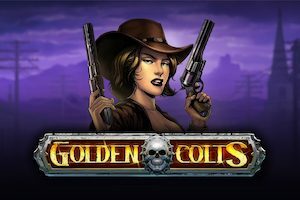 In this free spins bonus, there’s a unique gimmick as to how Push Gaming deliver the goods. It’s Santa parading around the reels in a PAC-MAN motion and eating pie symbols as they land. The more pies he eats, the fatter he gets, or should I say the bigger the Santa symbol gets and the more money you’re likely to win. 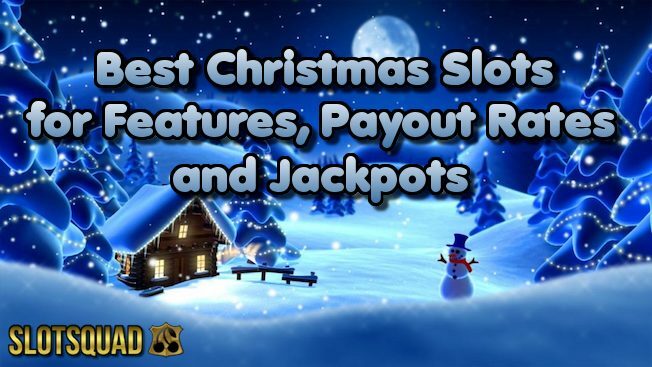 So why have I included Fat Santa on this years list of the best Christmas slots for features, payout rates and jackpots? Simple, you can buy your way straight to the bonus. Thanks, Push Gaming, Merry Christmas. Last year, during the most wonderful time of the year, developers Play’n Go released a truly magical Christmas game. It’s called Merry Xmas. Now there’s no point throwing last years presents in the bin if they’re still good, the Merry Xmas slot is still very much worth every bet. Known as the jolly, jingling 15-line slot from Play’n Go, UK online casinos still value the game for its incredible detail, vast betting adjustments and high max win exposure. Let’s rip off the wrapping paper once again! If you want to see one of the best Christmas slots for graphics and animation, just look at Merry Xmas. It’s still miles in front of any new Christmas casino game. But that’s not the best bit. As the most traditional seasonal slot, we’re including Play’n Go Merry Xmas for its Wilds with multipliers, additional gamble option and the very appropriate pick me a present bonus. 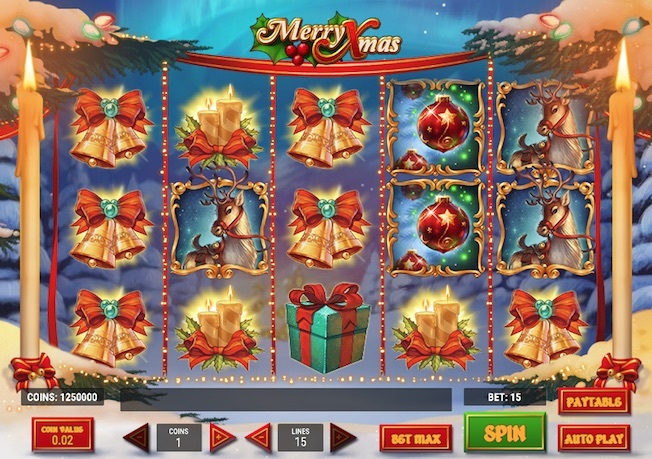 Having spins from just £0.15 a bet and a maximum stake of just £18.75, the medium volatility of Merry Xmas is attractive given the online slots max win exposure of 131,715 coins. At 2,500 coins, the jackpot alone should be on every player’s Christmas list. Looking for festive games wasn’t just about new slots, it’s also about the slots you can keep coming back to, Merry Xmas is one of them. Thanks to multipliers and a pay table full of gifts, Merry Xmas is capable of creating big coin wins when compared to the bet. But be careful, Santa’s not always friendly and it’s a case of naughty or nice. I didn’t hit the bonus in more than 100 spins while the slots gamble option could ruin Christmas. Still, if you’re lucky enough to choose a present, you’re going to be happy! Or should I say merry? While there are many seasonal casino games kicking around this December, I believe the ones above are the best Christmas slots for features, payout rates and jackpots. I know what you’re thinking, only four slots! But that’s because these slots represent the original few. There is something unique with each, all offer good features and the coin wins can be very rewarding. I’ve looked at traditional, silly, Santa and chilly. Slots that pay out lots of little, games that gamble, symbols that eat pies and re-spins powered by frozen snowflakes. It’s another festive season for the iGaming world. Lastly, we would like to wish you a Happy (and lucky) Christmas from Slotsquad.